Earlier this week a woman in her 70’s was hospitalised after being bitten by a 100 kilogram seal. This all has taken place near the boat ramps along popular fishing destination Port Fairy. Paramedics on the scene reported that the bite was quite nasty and had indeed gone through the bone. Onlookers have reported that she was walking in the are with her dog when the attack occurred. This attack is rightfully being investigated by the appropriate authorities. Our best wishes go out to the poor woman who was attacked. However there has since been updates that the Port Fairy board has approved a knee jerk reaction to remove the fish cleaning tables from Martins Point boat ramp. It is also working with local council to prohibit any fish cleaning within the entire area. This outcome will be determined later this month. 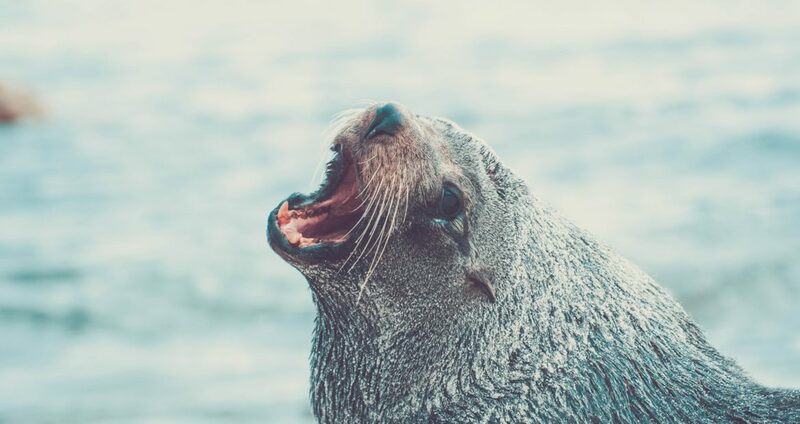 Local Moyne councillor Colin Ryan said “She was walking along the jetty and the seal launched out of the water and attacked her,” “The ramifications if she had have been walking with a small child is not worth thinking about.” He also suggested there had been a numerous complaints about the seal in recent weeks. “They’re predators with sharp teeth,” You can’t have unsuspecting little kids walking along the jetty and be in danger of being attacked by a wild animal. It’s just not on.” “Seals are dangerous because fish remnants discarded into the water, They swim in and get a free feed instead of having to go and chase it, well why not?” However, some “irresponsible fishers” had still thrown the remnants into the river and to the seal. “It’s unfortunate a small number have spoiled it for everyone,”. He then suggested that cleaning fish may be banned in the entire port precinct. “Fishers can still go fishing. They just have to make other arrangements for the cleaning of their catch, at sea or at home”. I have spoken with locals who saw the incident suggesting the seal had been agitated for some time leading up to the event. This was from visitors ( not fishing or cleaning fish ) who were getting quite close to the seal and some surrounding seal pups. They were trying to take photos and agitate the animal despite the signs warning not to go close to seals. The seal was giving lots of warning that she was angry. Barking and charging at those who would come to close. On lookers were laughing at this activity and egging on the seal. The woman who got attached went far to close with her dog whilst this was happening. But why is this a knee jerk reaction. Lets firstly start by saying we don’t want to see any person injured or threatened by local wild life. If these seals are a danger to pedestrians and local anglers then we agree that something must be done. Lets cover a few areas why this approach is potentially flawed. Firstly it is illegal to clean any fish out at sea. Victorian Fishing rules states that catches must be brought back so fish can be measured to ensure local anglers are adhering to local size limits. Secondly fishing is the life blood of Port fairy. Fishing is what brings thousands of visitors in every year providing vital economic boost for local shops, stores and accomodation. Without that foot traffic brought in through fishing those local shops may struggle financially. We understand that there not banning fishing that there simply looking to ban fish cleaning. In some cases that’s enough for local anglers to go somewhere else because basic amenities and infrastructure aren’t available. Thirdly it would seem that there was little consultation carried out between council and local specialist groups. Was there any consultation with wild life groups, local fishing groups, patrol and boating to provide advice. What other measures could have been taken. One glaringly obvious thought is that this is a wide spread issue across many bays. I can recall on many occasions around Port Phillip Bay, Maribyrnong river, Corio Bay, Western port, Bas straight and more where seals have been hanging around looking for a quick feed. In areas where they end up far to close to people and children. So wouldn’t it make sense for many of these local councils to get together and brain storm some ideas. Ideas that protect the welfare and safety of people without compromising a township of its main tourist attraction which just happens to be fishing. During these times they could invite specialist groups and key people within boating groups, wildlife protection, safety patrol, police, fisheries, etc to provide key insight and some ideas. Put the time and effort into a solution that could cater for many different demographics. We agree that relocating the seal is a band aid fix sure to fail. Seals are intelligent animals and knowing that local cleaning stations offer a quick and easy source of food then they’ll be back before you know it. Some ideas that have been discussed is fencing off cleaning areas and fencing areas of where the seals access land. We would love to hear your thoughts in the comments below. Again we believe that safety of local people and animals is the number one priority. But surely this is a knee jerk reaction, surely council and specialist groups can come together to brainstorm some ideas that keeps people safe and protects vital fishing infrastructure in townships where fishing is the key draw card to bringing in visitors.